A few days away from the blog due to MetroCon in Tampa this past weekend. If you've followed me for very long, you know that my teenager is ALL into cons and cosplaying. We're fortunate enough living in Central Florida to have access to MegaCon, MetroCon, Comic Con/Tampa, Anime Fest Orlando, Orlando Anime Day, and others I'm sure I'm forgetting. I wanted to share a quick post with you today because this year something very interesting took place for my Jamie. As I've mentioned before, she's my gifted artist. She's always drawing on her digital tablet, developing characters and doing work for hire. For some time now, she's been developing an online comic. The web comic follows a story line as if websites were humans. Each website character has its own personality and relationships. For example, Facebook and Twitter are gossip girls, and Bing is a little kid who's trying to live up to the successful Google. See how My Space is a ghost? He was dead, but now he's rising back to life. Get it? 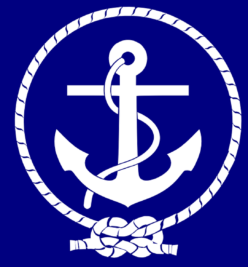 It all relates to the reality of that particular website, or search engine or social network. Her comic series then portrays stories and scenarios based on the current real-life goings-on. The idea is certainly clever, and it's wildly popular on Facebook and especially Tumblr where she's garnered over 40,000 followers. 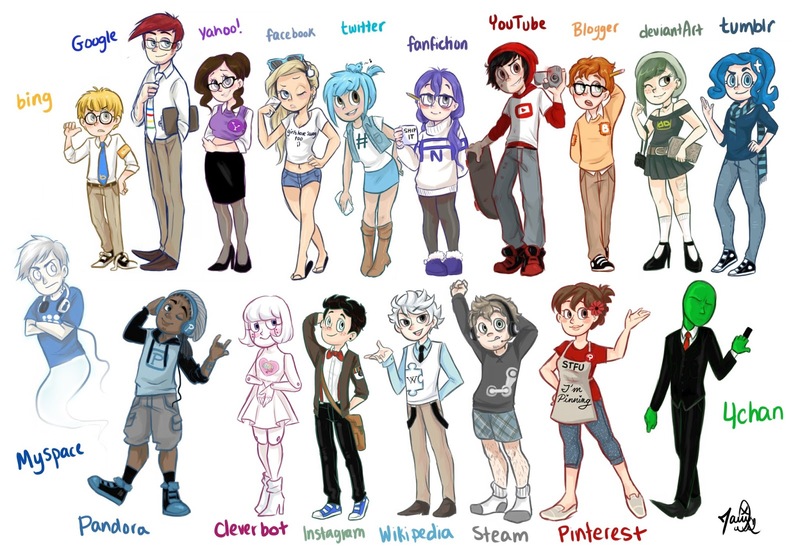 And yes, there's a Tumblr character. She's clever, she's snarky, yet lazy and procrastinates, and she doesn't care for Facebook one bit. 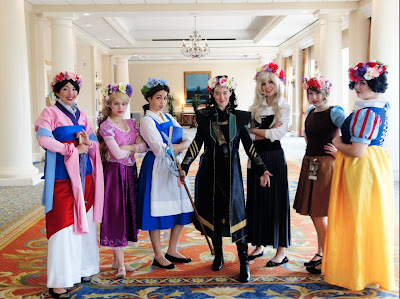 With such a large following, Jamie soon found that her fans were dressing up like her characters. 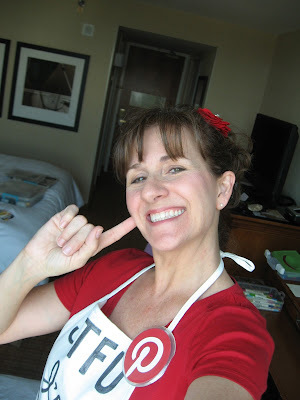 With MetroCon coming and to help manage her fan base, she developed her Interwebs Series Facebook Group and soon kids from all over were sharing photos of themselves, and planning their trip to Tampa to dress as one of her characters and to meet the creator herself. So the fun part here is that the Pinterest character is totally based on me. Jamie describes her as crafty, sassy and sort of the mother figure for Tumblr. She got the character right. Those are my stretch capri jeans with the polka dots (I wear them all the time) and my comfy loafer shoes and I'm always pinning up my hair. Only thing is, I wish I were as cute as the cartoon version. Jamie asked me if I would dress the part at MetroCon and I was happy to! Turned out there were a couple of Pinterests there. (I'm the old one in the middle. LOL.) This was such an exciting moment for Jamie. And I have a feeling it's only the beginning. Since MetroCon is a whole weekend, there's plenty of time for costume changes, so Jamie began as the female version of Medic from Team Fortress 2. Then it was Loki and the Disney Princesses. Jamie made all the flower crowns for the girls. And thank goodness she's getting some mileage out of that Loki costume I made. See an older post here for more on that. Jamie had a blast with her friends and made new ones while there. While many might think the whole thing is a huge nerd fest, it's much more than that. It's a pretty great group of kids having fun and connecting in a creative way. Thanks for popping in. 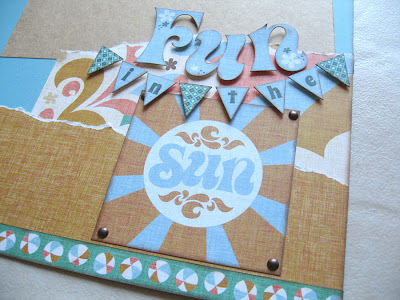 Back to creative fun in my crafty space today! Another fun tag by Tim Holtz and his 12 Tags of 2013 inspired another of my journal pages this month. Be sure to check out Tim's patriotic July tag and his step-by-step techniques including the use of Crackle Paint and Distress Stains. Really cool effect. 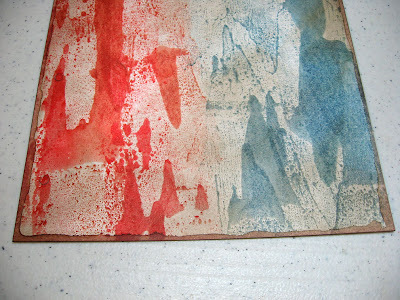 My pages are 6 x 8 on Bristol, vellum surface, 100 lb. by Strathmore. At the end of the year I will create a book with rings. The page begins like Tim's tags. Brayering on several Distress Stains. 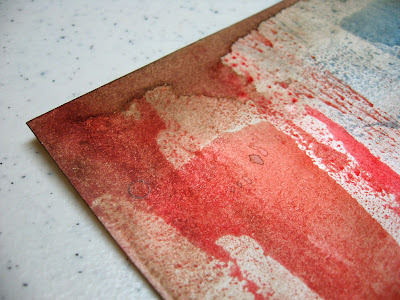 After distressing over the colors with Walnut Stain Distress Ink, I spritzed some water on my non-stick craft sheet where the excess Walnut Stain was left behind, then dipped the outer edges of my page into the ink. Just a fun alternative to simply inking the edges with the blending tool. I love how it has a coffee stain effect. 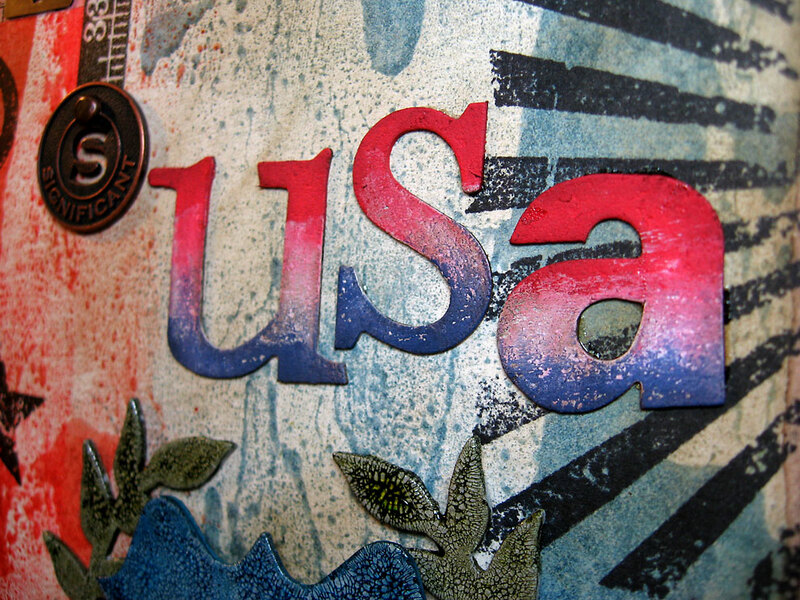 Stamping with archival black using the Grunge Cirque stamp set. From the Regal Crest Alterations die I cut all three shapes from Grungeboard, then slathered a medium layer of Distress Crackle Paint (Clear Rock Candy) onto these two pieces and set aside to dry. 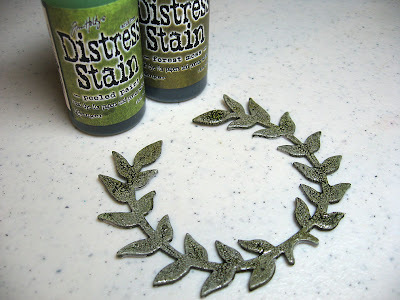 On the third piece, I painted Brushed Pewter Distress Paint and once that was dry I added Antiqued Bronze with my finger around the outer edges messily. 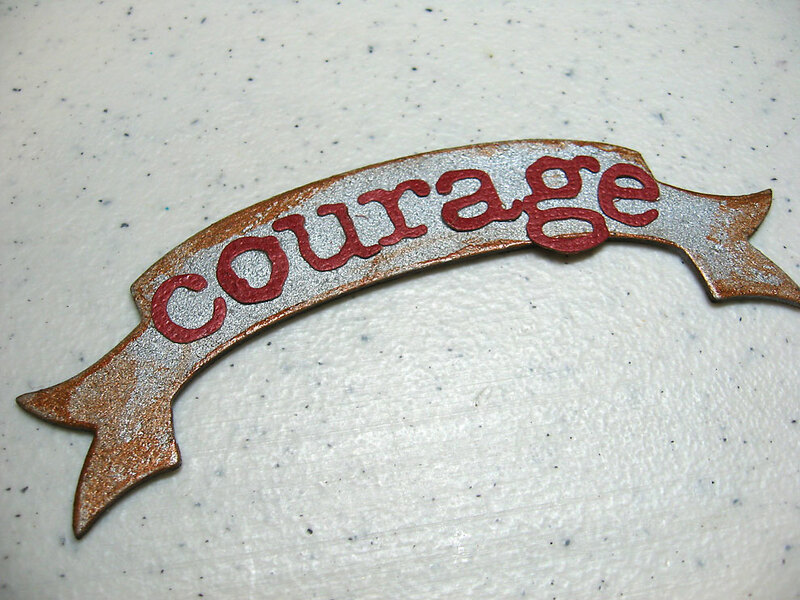 From the deep red Kraft Core card stock I cut the letters for courage using the Typeset Alterations strip die and adhered them to my dried banner piece. 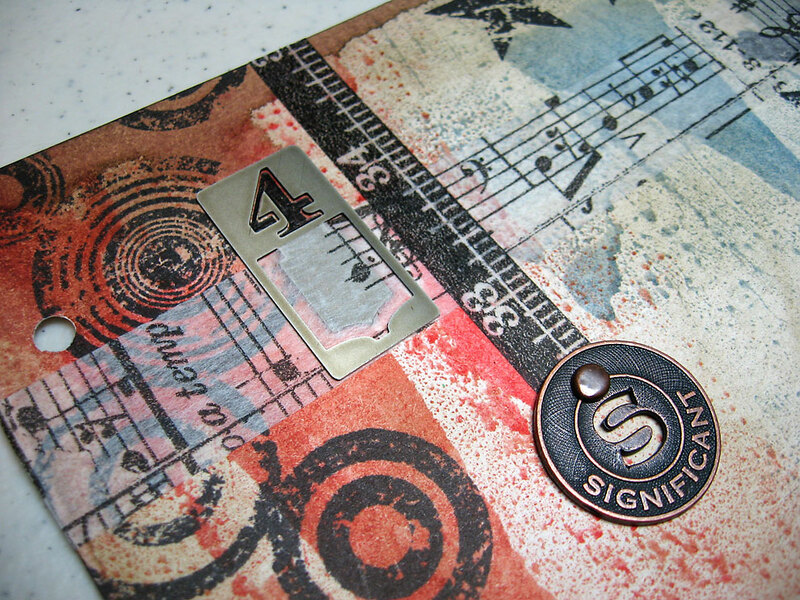 Tissue tape, number 4 Stencil Mark, and a muse token embellish the top left of the page. Once the crackle was cracked and dry I dabbed Peeled Paint Distress Stain over this laurel piece, then topped it off with Forest Moss to seep into the cracks. 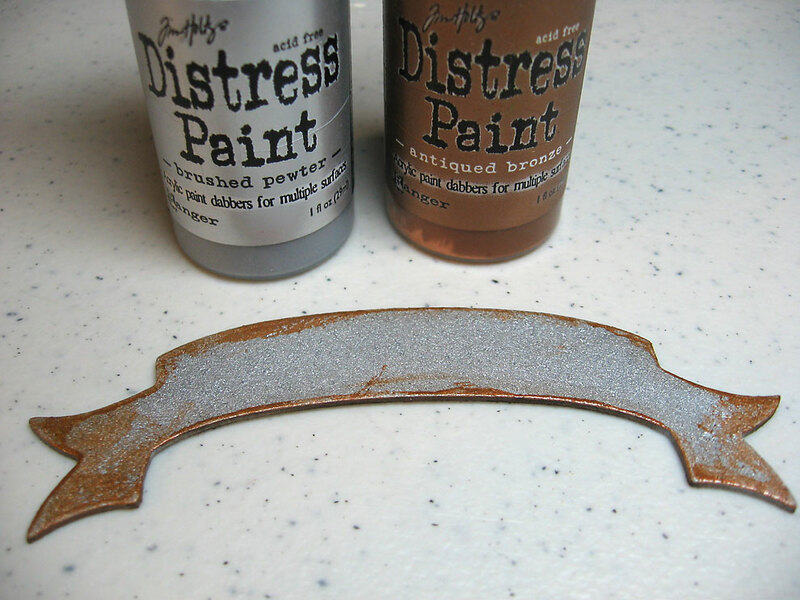 The shield got the same treatment with Broken China and Faded Jeans stains. 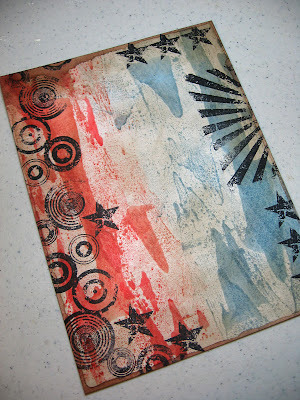 I eventually inked the outer edges with some Faded Jeans Distress Ink to give some added dimension. Use the Word Play Alterations die, I cut USA from grunge and painted them red, white and blue with my finger as shown. After this dried, I distressed them with Walnut Stain ink. 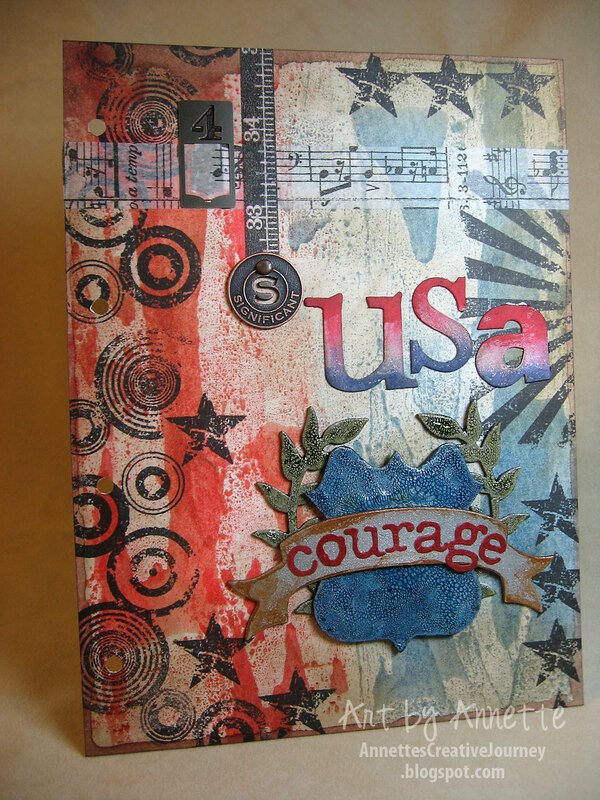 Then I assembled my page and layered up the elements. 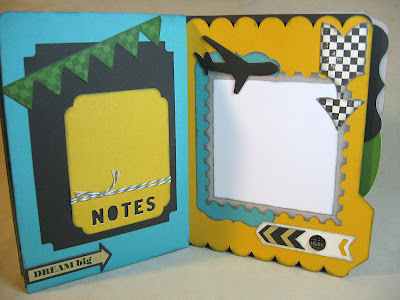 Now that I've done 7 pages, my journal is looking great! I can't wait to bind the whole thing at the end of the year. Thanks for stopping in today. I hope this has inspired you to try some of Tim's techniques as well. It's always great fun! 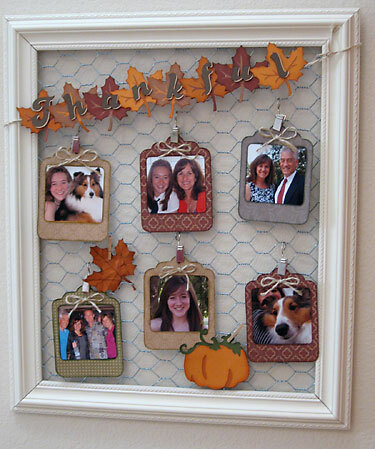 Picture frames are great, but how often do you really change out a photo once it's in the frame? How about... never. I know I don't anyway. 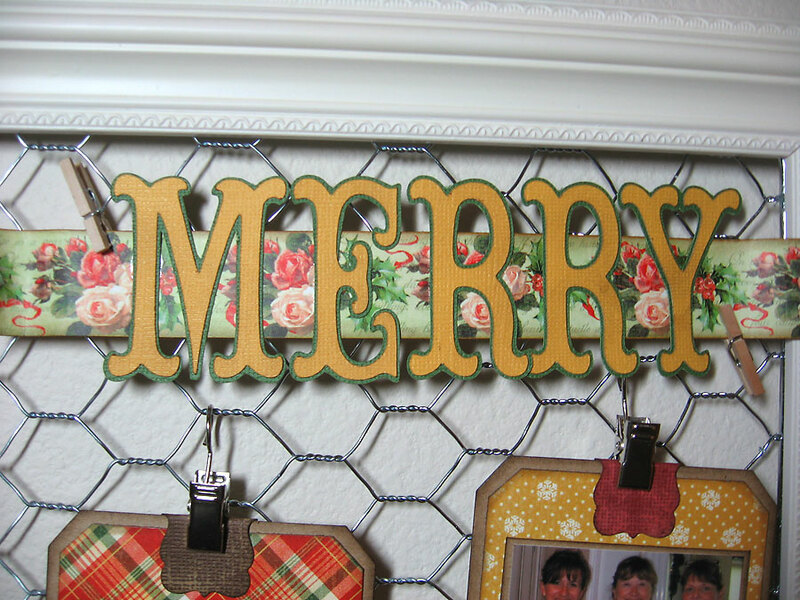 So what if you had a stylish frame with honeycomb wire mesh as a base and fun hanging clips and clothespins? 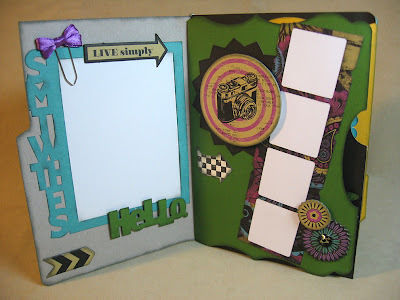 You could and WOULD change out the photos often, because it's easy! 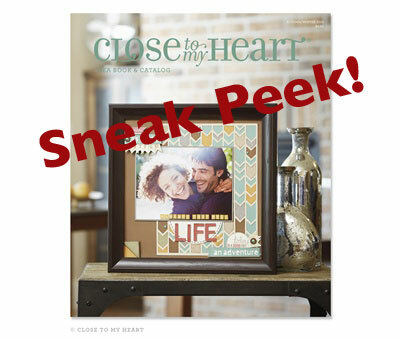 You can imagine how thrilled I was at Close To My Heart's annual Convention last month when they debuted the new Designed Decor line. 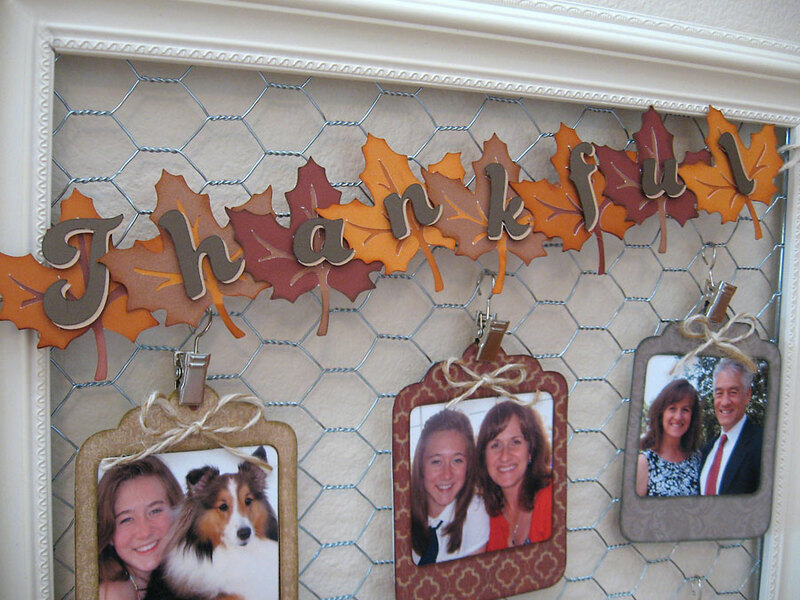 Not just one, but two stylish frames you can simply and quickly embellish using metal hanging clips and mini clothespins. Here are a few beauty shots (compliments of CTMH) of the two frames and some ideas how you can use them. 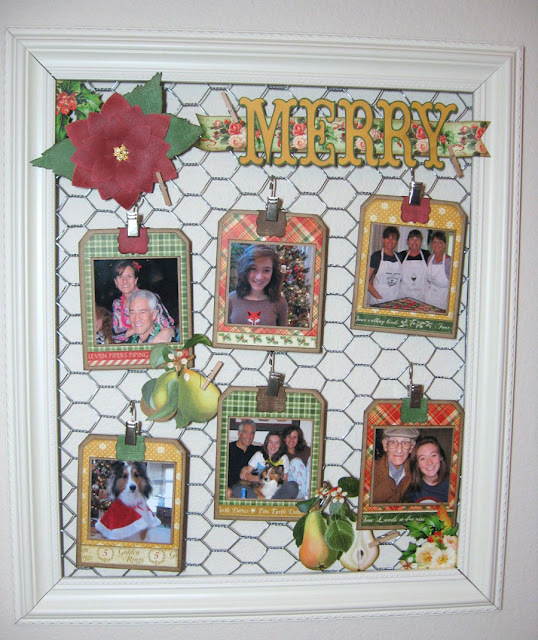 First is the Colonial White Frame with the honeycomb wire. 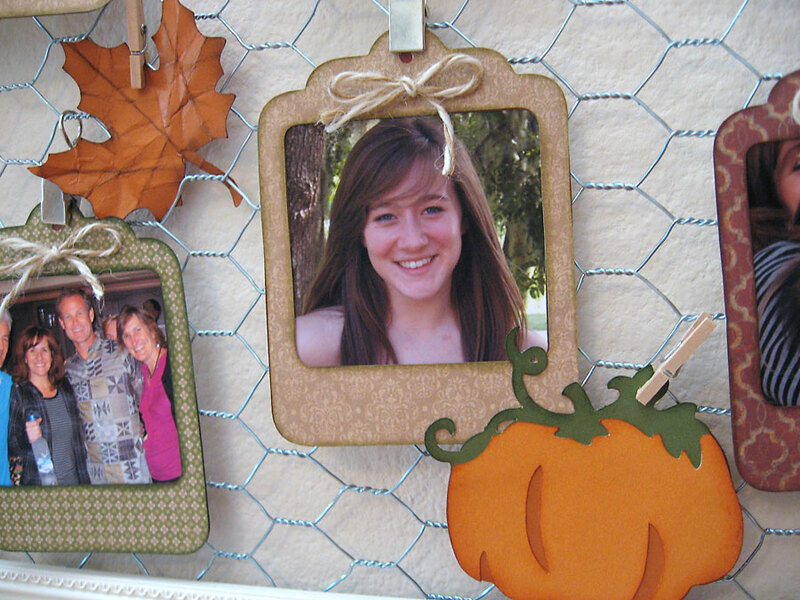 The frame's interior dimensions are 12 x 13 1/2 inches. Hang photos and a title. Bucket List. What a great idea! 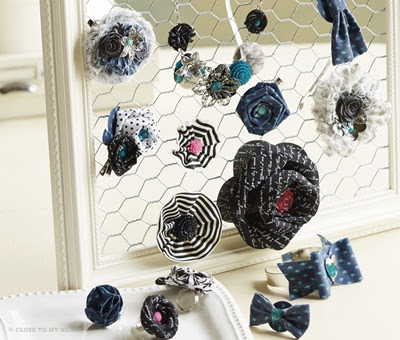 Hang jewelry or hair clips. 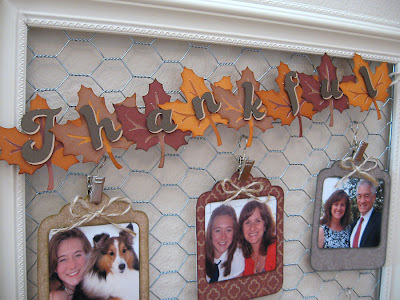 And the Black Frame measures the same and has strong decorative clothesline wires for hanging. 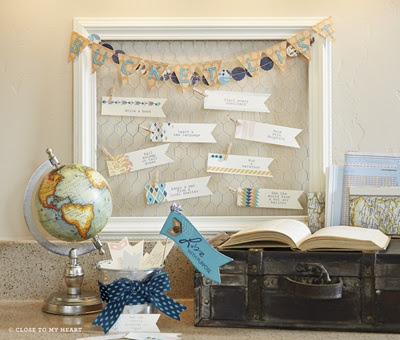 How about a party themed decor piece? 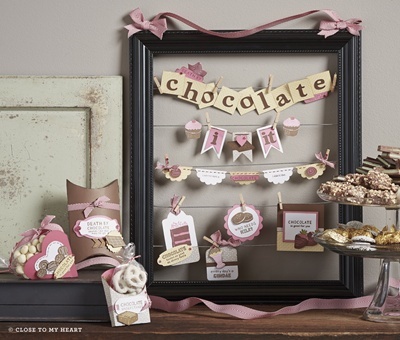 Decorate it with fun stamped images, and prop it on your table around your treats. For big families, this is a great idea. 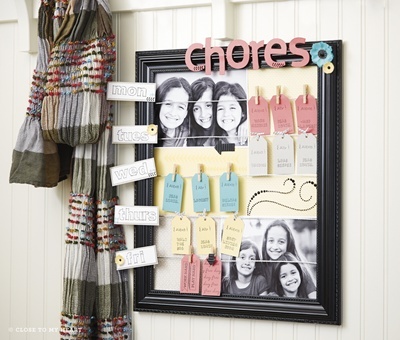 A chore chart. How fun is that? 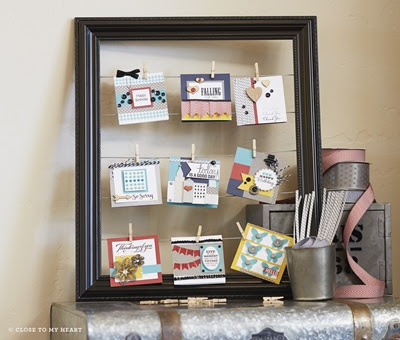 Display your favorite cards you've received or made to share with others or as inspiration. So, of course I had to get one of these right away. I was partial to the honeycomb frame because it matches my home's decor best. I love the new Huntington papers for fall themed projects, so I cut some tags, leaves, a title and a pumpkin from the new Artbooking Cricut cartridge. This all came together in about a half hour! 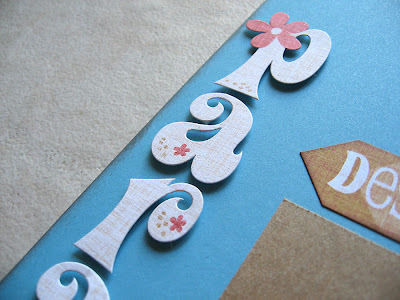 I cut my title twice and layered them offset a little so the letters stood out better. The leaves are joined together with some baker's twine hemp on the back and tie around the back of the frame. Easy to remove and switch out for another season. 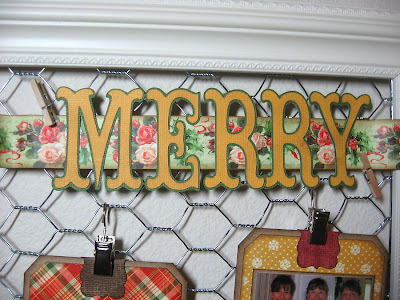 I used the metal hook clips for the photo tags and tiny clothespins for the added embellishments. 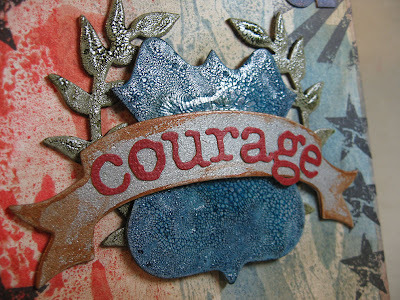 The title is cut from the Storybook Cricut cartridge (one of my favorites). 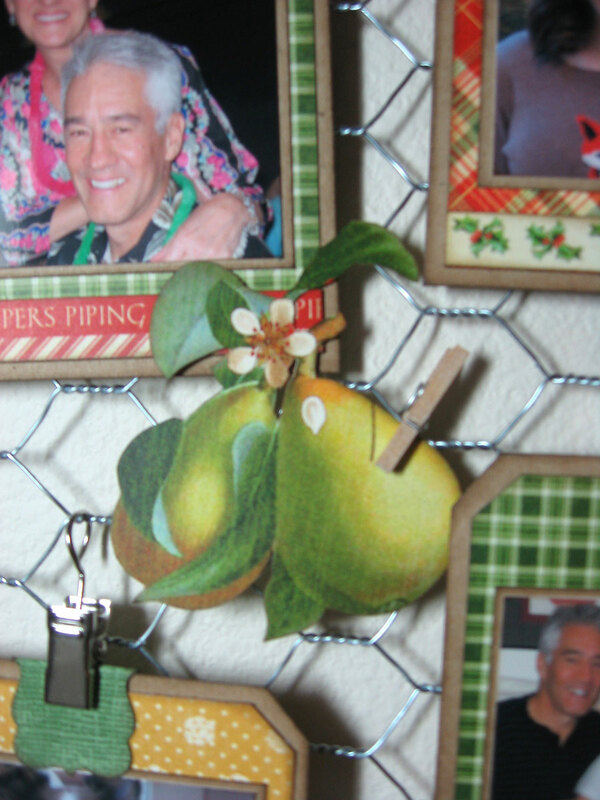 I clipped it onto the wire with two small clothespins. 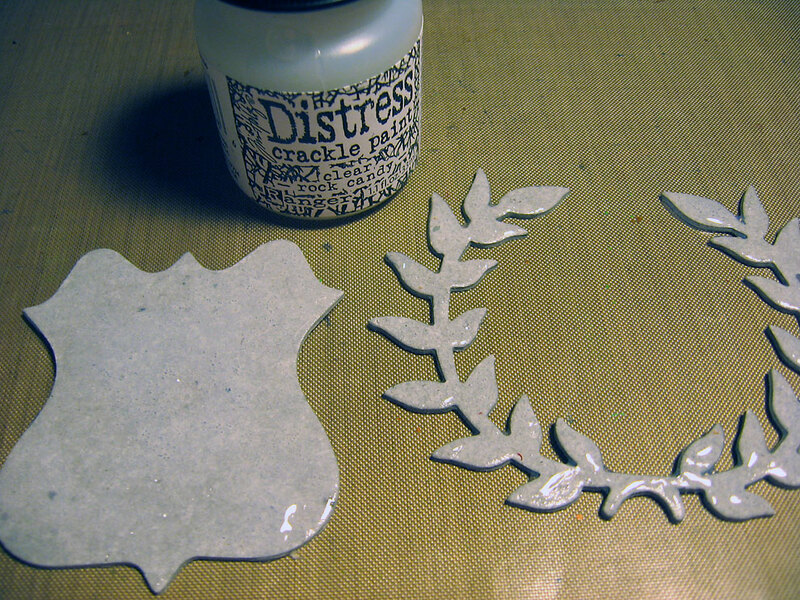 The pears are cut from the "Turtle Doves" sheet from the 12 Days of Christmas collection. So pretty. 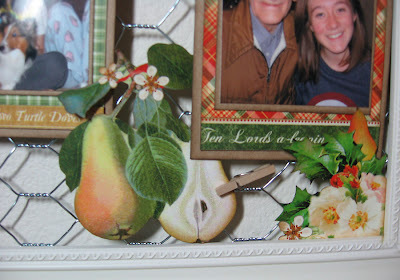 Another few pears and the floral/holly is simply tucked into the corner of the frame. I can pluck it out easily and replace it with something from the next season. I'll be hosting a workshop September 1st to make everything you see here. 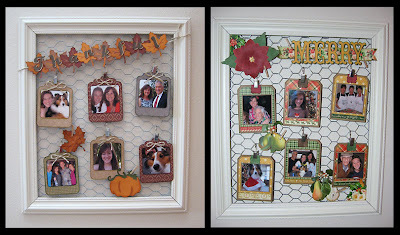 Frame and all materials for $45.00. Or maybe you'd like to order your own frame and do something fabulous to it that suits you. Simply contact your Close To My Heart consultant starting August 1st to get yours, or you can order from me here and click the SHOP button. Remember, the new Idea Book and these items aren't available until August 1st. Thanks for stopping by today. Hope you're having a great day! 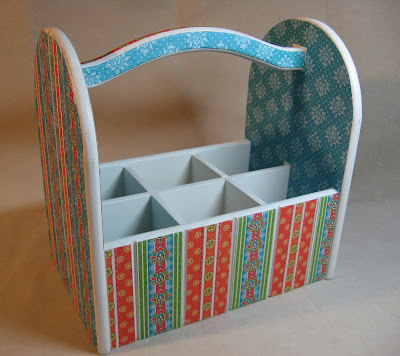 When I saw the picnic caddy (that's what I'm calling it; the white wood box with the handle in the background) I knew those bright colors in Graphic 45's Bohemian Bazaar collection would be great. And what to put inside the cubbies? Orange Crush, my daughter's current favorite. 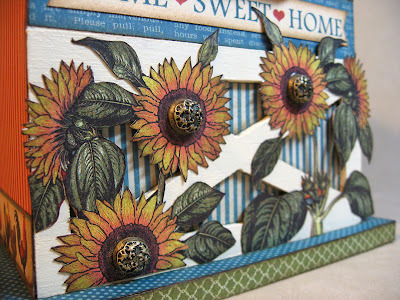 Covered the box with papers using Mod Podge as a glue then a sealer. Then the trimmings. After it was finished, I grabbed the Orange Crush bottles and - DOH! - they didn't fit! I don't know why I never thought to measure them. 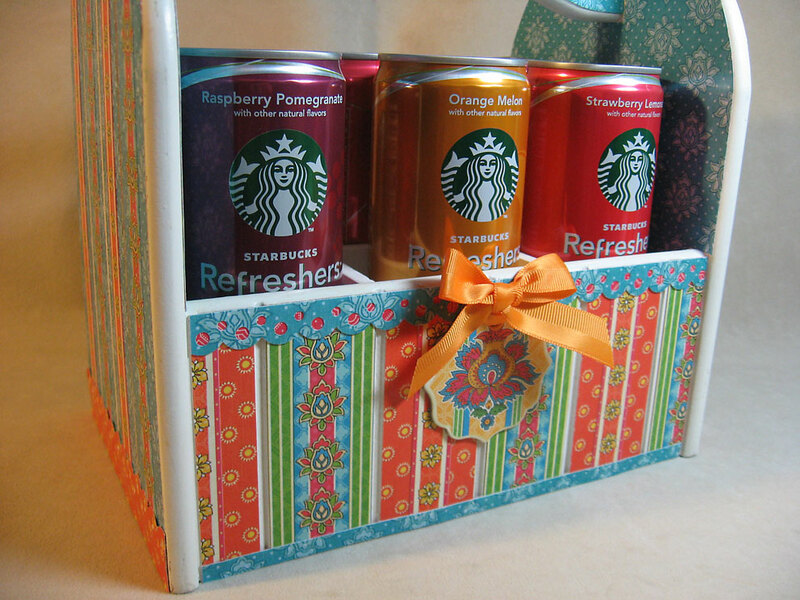 So I measured the openings and cut a square of card stock to size and ran down to the grocery with my little square, taking bottles of colorful drinks off the shelves, measuring them until I found these Refreshers by Starbucks. PERFECT! 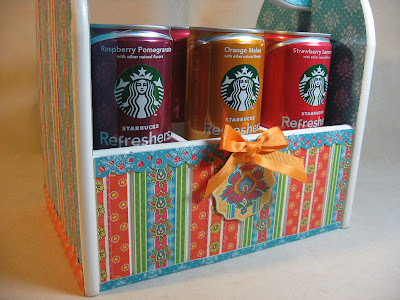 (Keep in mind, this is all happening while the sleepover girls are getting thirsty and in need of a sweet treat.) I got home from the store and started on my altered tray. This is just a bare wood tray from my local Hobby Lobby. 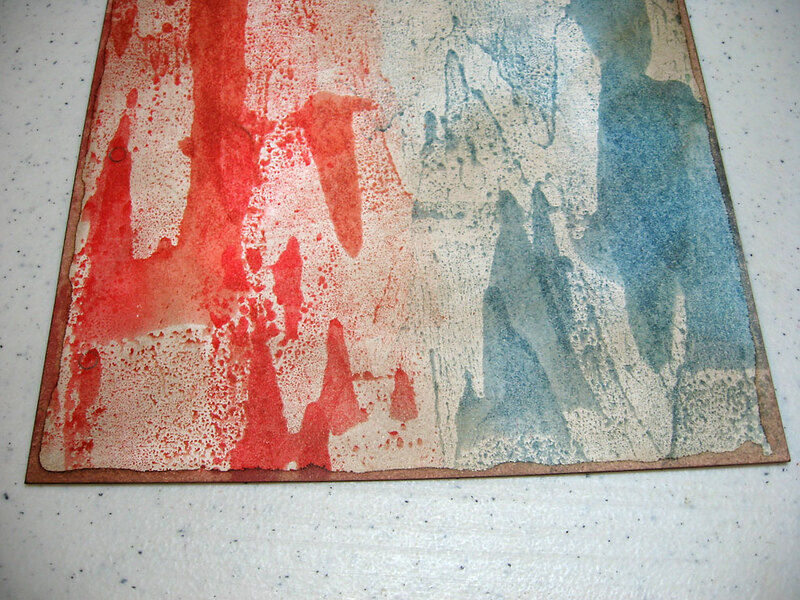 I gave it a quick coat of cream paint before I went to the store, then quickly added the papers when I got back. A seal of Mod Podge set to dry while I made up the chocolate covered Oreos using my Wilton candy mold. Voila! It all came together just in time. 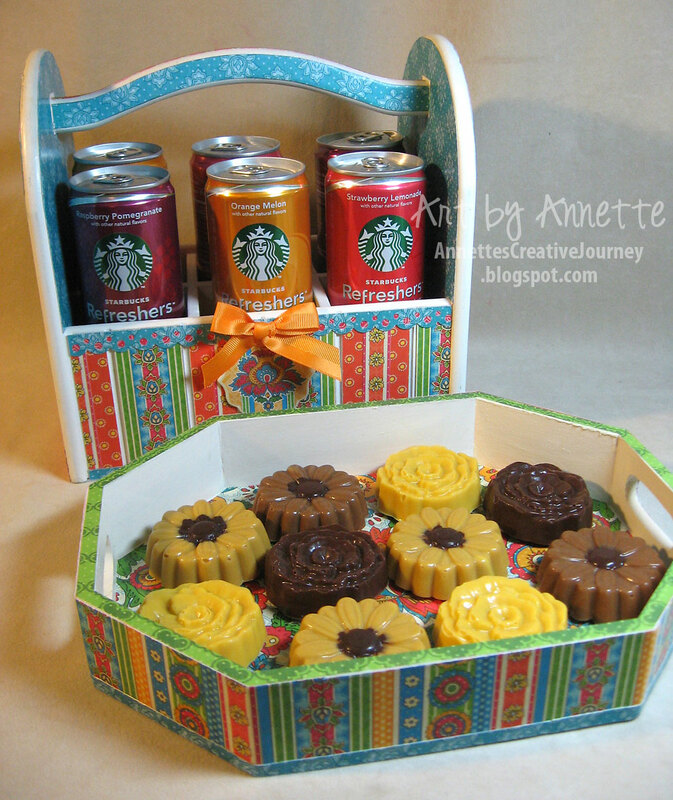 The candy cookies were devoured in about 15 minutes as were the Refreshers. And now I have some fun home decor pieces I can use again and again. Super easy! It's already mid-July and I'm finally posting my Kit of the Month. Whew! 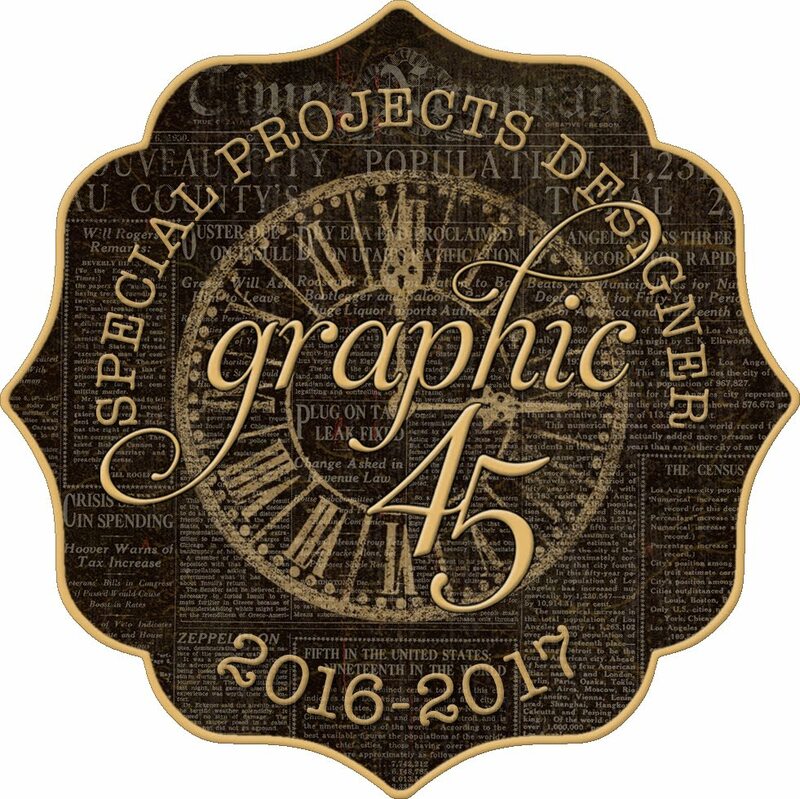 It's been a busy few weeks with Close To My Heart convention, prepping for classes, and designing for CHA with Graphic 45's new collections. So let's get right to it. My July kit of the month features "Surf's Up" papers, burlap ribbon, stickers and copper brads all from Close to my Heart. My Kit of the Month Club is open to all! Each kit contains all materials to create four fabulous scrapbook pages (card stock, pattern paper, embellishments, etc. 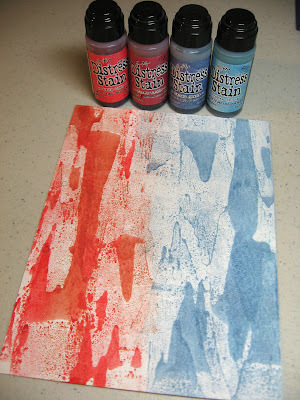 ), sharp color photos and close-ups to help with assembly, easy-to-follow cutting guide, plus helpful tips. Membership requires a credit card on file which will be charged automatically during your term. 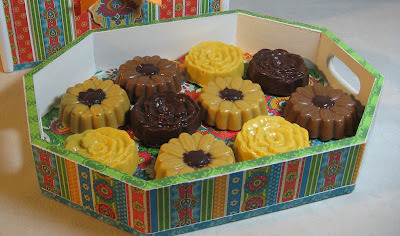 Kits ship the first week of each new month. Contact me directly at AnnetteGreen@me.com to start your membership now. 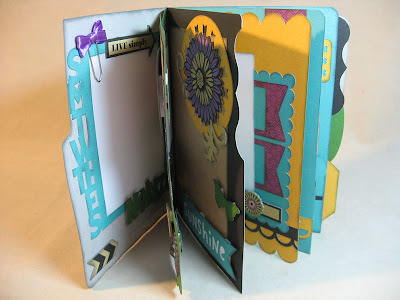 My Cards & More Club will be making projects using Surf's Up as well, with a little help from the brand new Artbooking Cricut Cartridge, available exclusively through CTMH starting August 1st. 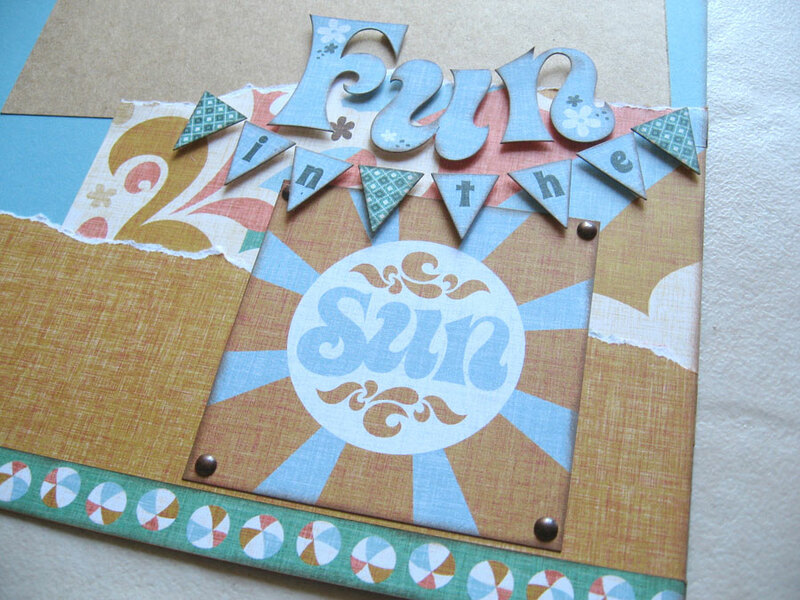 Two cards and this fun little summer mini album. These projects feature the Surf's Up Assortment pack containing decorative buttons, rosettes and pinwheels. All are adhesive backed. 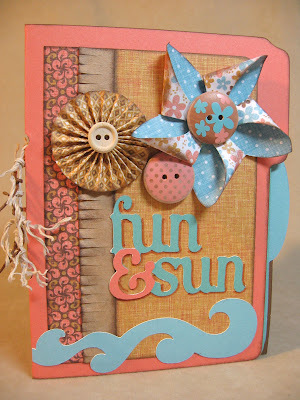 Easy and fun to pop onto a project. 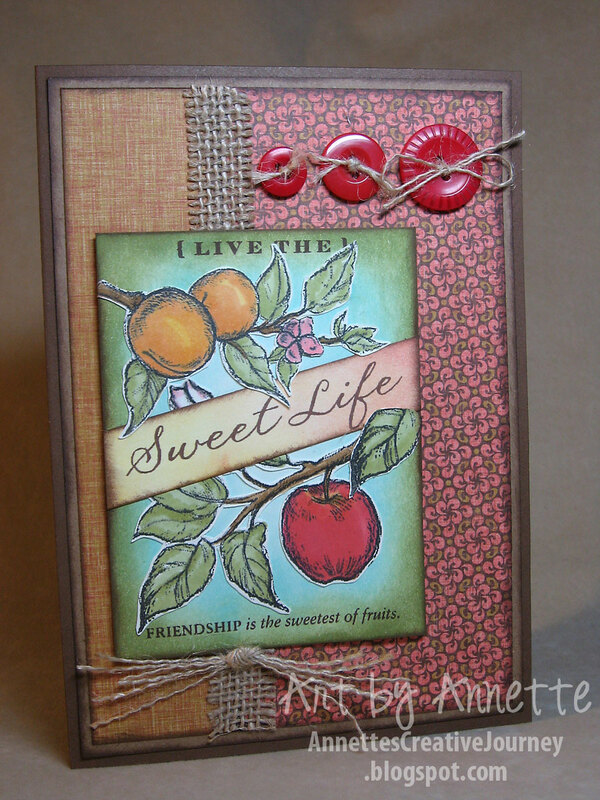 The first card we'll make features the July Stamp of the Month "Sweet Life." 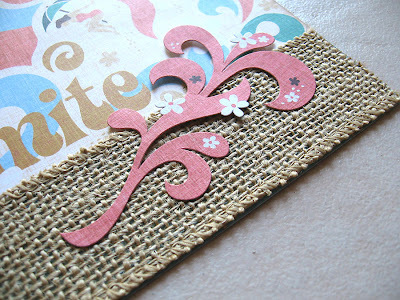 For a tutorial to make this card, simply go here. 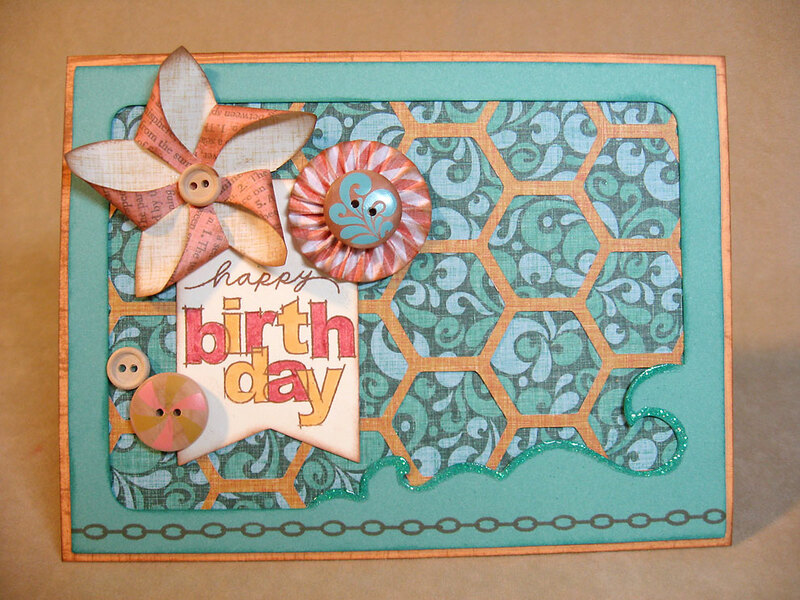 Second is this birthday card using the new Artbooking Cricut cartridge to create the outer frame and the honeycomb overlay in the background. Last is this mini, also made from the Artbooking cartridge. 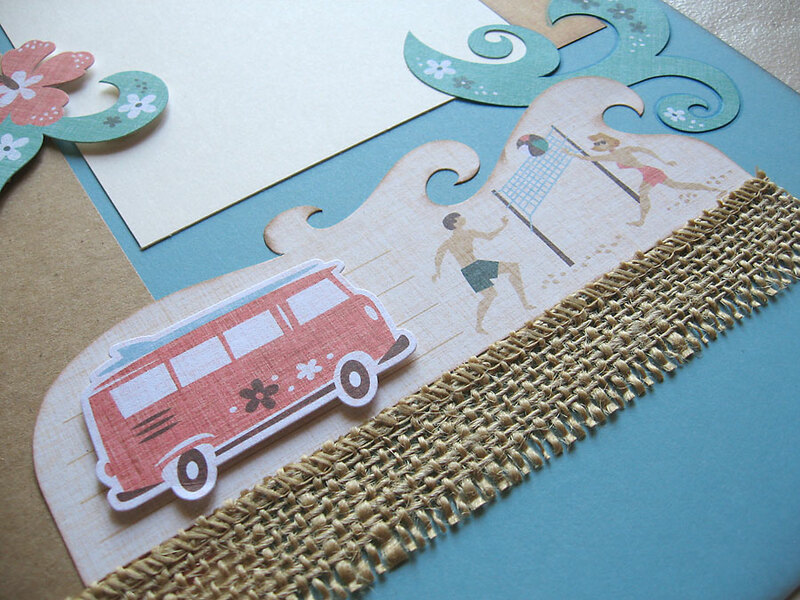 All pages are 5 inches and use coordinating cardstock colors to the Surf's Up papers: Sorbet, Lagoon, Desert Sand, Crystal Blue and Chocolate. 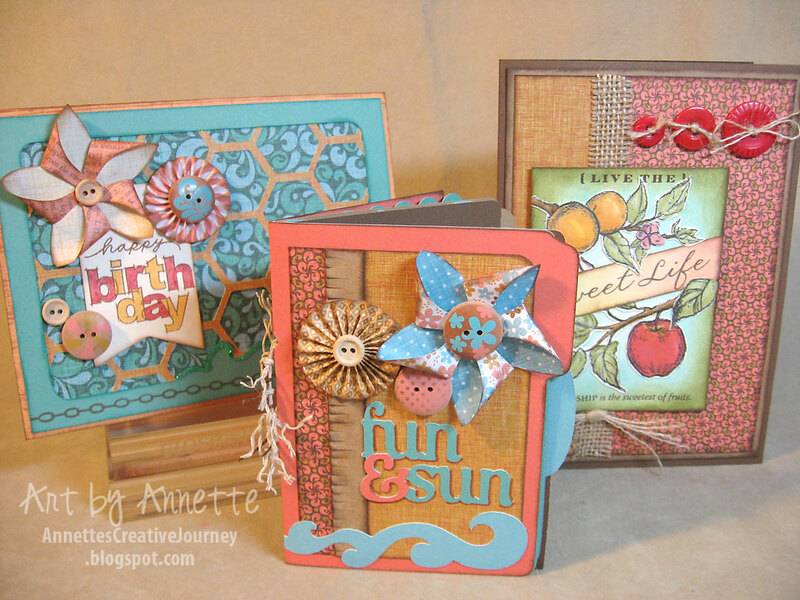 Each page is a different shape with either side tabs or pockets. 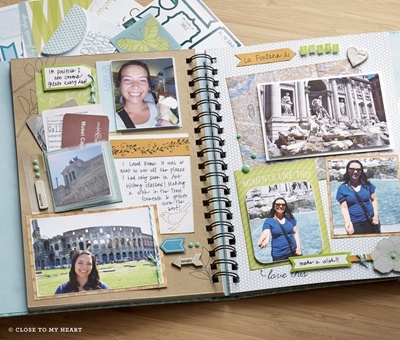 A fun keepsake for your summer memories. That's it for me today. I hope you're having a wonderful Wednesday! Thanks for stopping by. I've been a very busy bee creating CHA samples (Craft & Hobby Association) for the Graphic 45 booth the past few weeks. Wish I could share with you, but not just yet. Be sure to stay tuned in the coming weeks and watch the G45 blog as well. Also, today is my debut in Papers and Pixels as the featured artist. I was honored to be invited by the lovely Laura Boetto to share a little about myself and my favorite creations as well as an easy and elegant card tutorial using Graphic 45's French Country papers. Papers and Pixels is a digital publication geared toward digital and paper scrappers, card makers, artists and crafters. It's filled with talented designers, creative ideas, tutorials, and helpful tips. For only $1.50 per issue, it's worth checking out. If you do, be sure to come back and let me know what you think. Thanks for stopping in today. I hope you have a fabulous Monday! Just a few short weeks ago, I attended Close To My Heart's annual convention with my fellow team mates and zillions of other consultants right here in sunny Florida at Disney's Coronado Springs Resort. A gorgeous, all-inclusive hotel just minutes from all the Disney parks. Our convention experience even included a free Twilight Ticket which allowed us to visit any of the parks after 4 p.m. during our stay. What a bonus! It's a crazy good time at convention. Women are dressed up in coordinating outfits, wearing all sorts of crazy things from light-up Mickey ears to fluffy flamingo feathers on our heads. 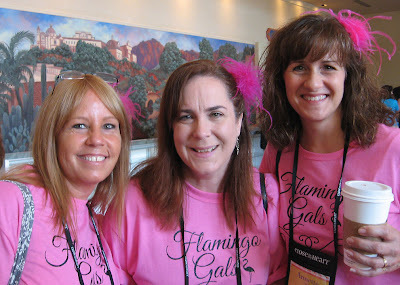 It's so easy to find another Flamingo Gal (my team name) in the crowd with these silly feathers. Here I'm waiting in line the first morning of convention with my pals Dana and Sherry, having coffee of course. During convention, we received our precious copy of the upcoming Autumn/Winter Idea Book and saw gorgeous samples of the new products throughout the week. In our Creative Sessions, we got packages of new products to play with, as we followed along the guided instructions to create our samples to share with you. 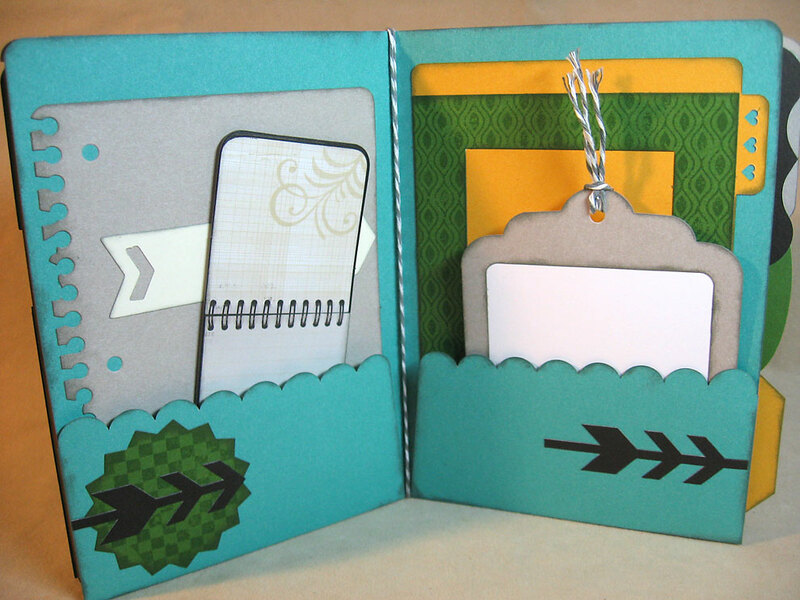 One of the highlights of the week was the unveiling of CTMH's newest Cricut cartridge: Artbooking. 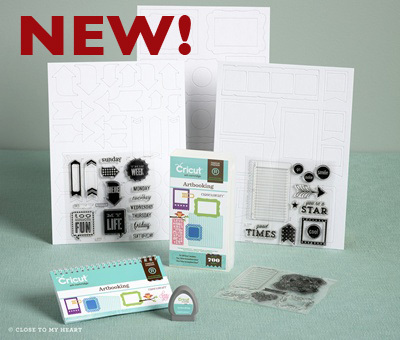 You can order your Artbooking Cricut Bundle starting August 1st or sign up to be a Consultant with me and you can order yours now! 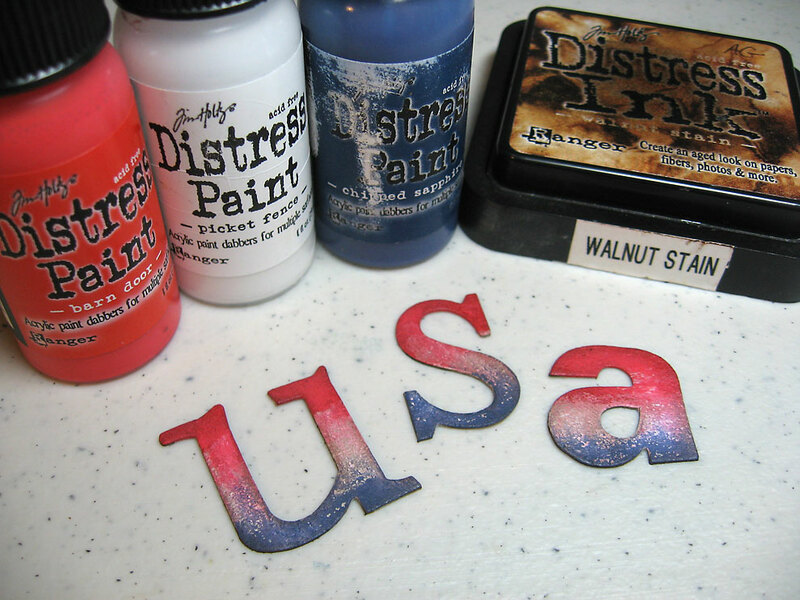 For only $49 your Consultant Kit contains all you see here to start your business (or feed your hobby addiction). Simply go here to sign up today. 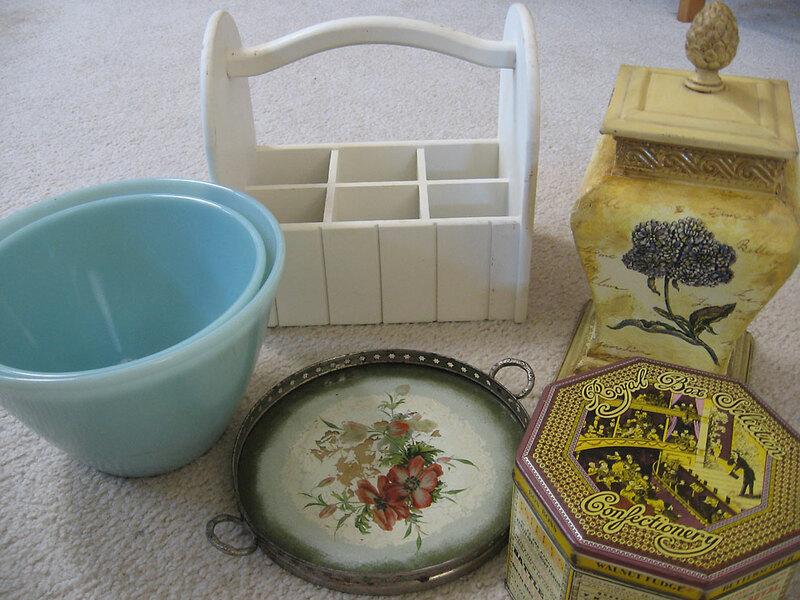 You can always opt for the Master Kit for only $99 which includes these items and so much more. All the details are at that link, so be sure to check it out. One of my favorite make-n-takes was this mini album created from the Artbooking Cricut Cartridge. 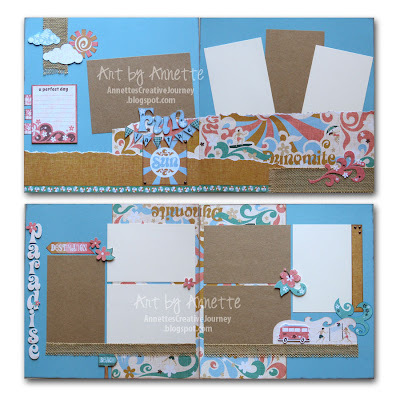 This mini really shows off the capabilities of the new Artbooking cartridge as well as the fun "Laughing Lola" papers and coordinating chipboard. Each page is unique and fun. 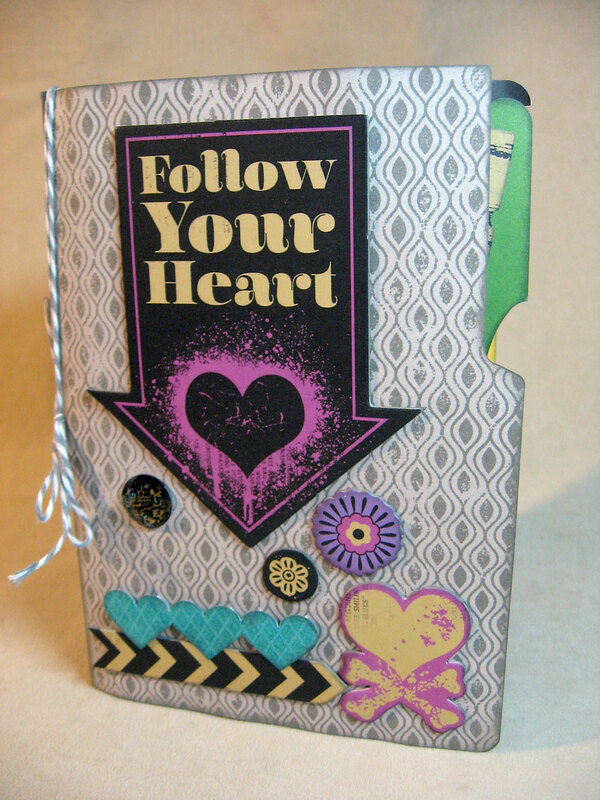 Introducing the new "My Crush Book." Close To My Heart's version of the ever-popular Smash book. These spiral-bound, hard cover books have beautiful sturdy pages pre-printed with fun designs and colors, and are ready for you to quickly stick a photo, memorabilia, and jot some journaling on the fly. It's compact size is perfect for a trip or everyday. They come in two cover styles: Modville and Bluebird with assortment packs to choose from for each. I can't wait to get my hands on one of these! Another huge hit at convention was the new Designed Decor products. 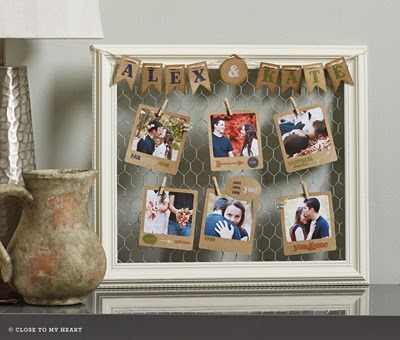 This Colonial White Frame with honeycomb wire is perfect for displaying photos, artwork, accents and more. And to make things even better, CTMH has a complete kit so you can make this display in the photo. 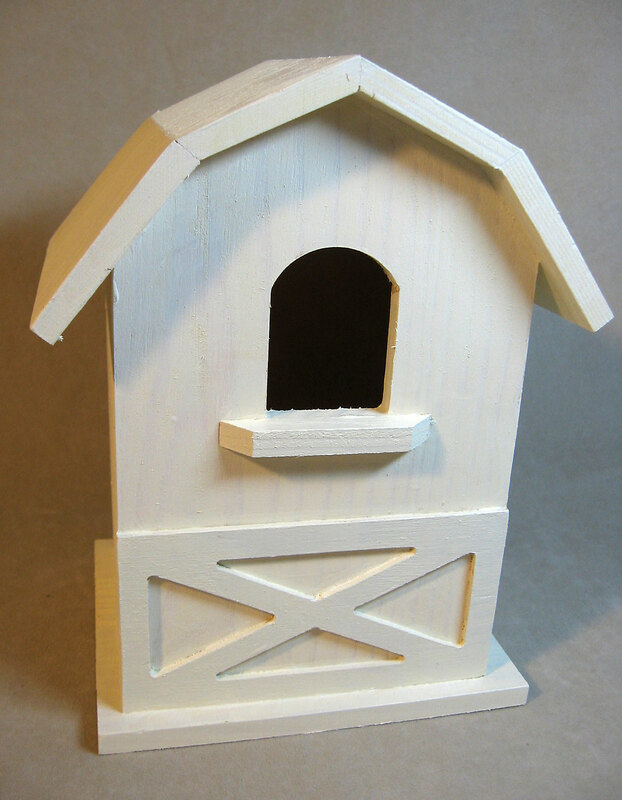 At only $35.95, this is a must-have! VIVA! 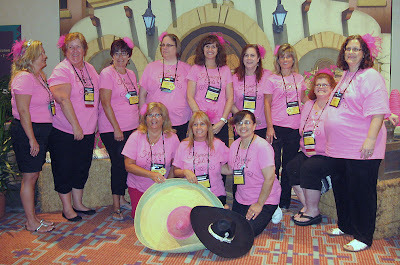 was the theme of this year's convention and what fun we had. I was so happy to have so many girls from my team in attendance to share this experience with. Just look at all that pink! Another bonus to being a consultant and attending convention is that as attendees, we have access to specially priced bundles of new product, PLUS we receive commission on our bundle order! I should be getting mine any day now. I can't wait to share with you, so be sure to stay tuned. 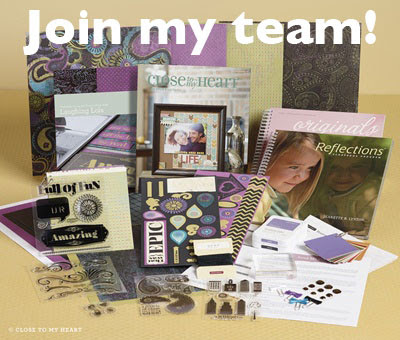 Not interested in becoming a consultant, getting a fabulous discount and having a great time? Well, at least you know where to go to get your favorite new products. Right here starting August 1st.